"What better statement to make about your Faith than a clock with all 12 Pope Pius' on it!" 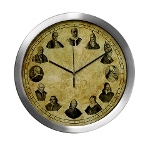 We offer exquisite clocks featuring all of the Popes named Pius (I through XII). 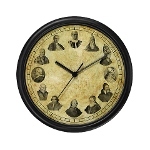 The face of each has a beautiful antique parchment finish with a subtle Papal Insignia watermark in the center. They make great gifts for clergy, religious and laity and are a fantastic educational tool for Catholics of all ages. Tu Es Petrus - "Thou art Peter; and upon this rock I will build my Church." 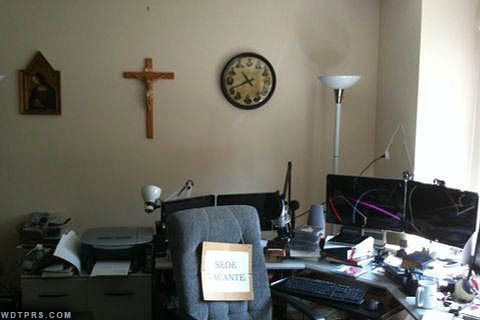 Copyright © 2010 Pope Pius ClockTM. All Rights Reserved.